Call Ice Cold Auto Repair! No matter the make, model, year or type of vehicle you’re driving, trust Ice Cold Auto Repair for best-in-class repairs and maintenance! Our ASE Master-Certified Technicians deliver a full gamut of automotive services to customers, backed by state-of-the-art technology and years of professional experience. Schedule your appointment with us today. When you choose an auto mechanic, be sure you’re choosing one that can give your vehicle everything it needs in the way of maintenance and repairs, throughout the entire life that you own it. 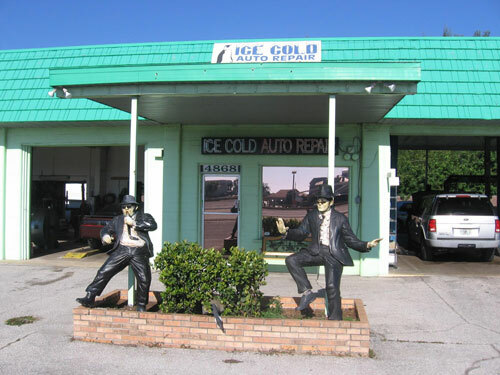 At Ice Cold Auto Repair, we offer the full gamut of services you demand from a professional, along with a huge range of specialties in the realm of auto repair in Port Charlotte, FL. Know you can always come to us for oil, lube and filter services, as well as tune-ups and alignments—however we’re also here when you need something more, like suspension work or auto A/C service and repairs. We go above and beyond with any service we offer, to give you complete peace of mind in your vehicle’s condition and function. 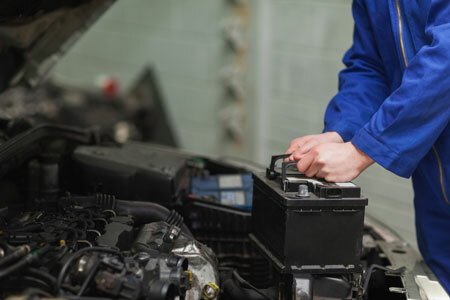 Our auto repair services in Port Charlotte, FL are backed by years of excellence, a highly-trained staff and a penchant for offering only the best quality work. We pair integrity with our workmanship to give you a customer experience that’s simply unmatched anywhere else. From the moment you roll into our fully-staffed shop, to the detailed breakdown of services we offer you, to the superior caliber of repairs, to the many conveniences we offer, we go out of our way to earn your business again and again. And, with highly competitive prices to go along with our full range of work, we invite you to see why our customers are happy to be customers for life. Our mechanics are ASE-certified, to ensure the highest quality workmanship. We can perform work on both foreign and domestic vehicles. We provide a convenient shuttle service for customers without access to a vehicle. Our shop is locally-owned and –operated and has been since 1998. Need a free A/C check? We offer them on Saturdays by appointment! From routine service to major repairs, Ice Cold Auto Repair is here to assist you in keeping your vehicle in its best condition. Get in touch with us today for a free quote on service.